Thank you for visiting America’s top destination for gourmet raw honey and natural bee skin care products. Built By Bees is a natural and organic marketplace committed to providing the finest bee related products in the world. Discover the power of raw bee ingredients in a prestigious line-up of gourmet raw honey and healthy skincare products. Our products nourish, protect and restore and come with a 100% satisfaction money-back guarantee. We’re about taking care of our customers and offering them only quality products. Enjoy flat rate shipping throughout the USA and free shipping for all continental USA orders over $69.00. Our bee products contain one or more of five bee ingredients: Beeswax, Raw Honey, Propolis, Pollen and Royal Jelly (a few of our products have only honey scents). Our products are healthy for you and great for your skin. All Queen’s Harvest gourmet food products are USA-based and contain 100% USA raw honey. Our Queen’s Harvest gourmet food line provides a great, healthy variety of 100% raw gourmet, kosher, whipped and infused honeys. Today, we proudly offer top USA and international natural beauty skincare products, with our primary focus on USA-based companies. Our skincare lines are high performance and contain unique and powerful blends of bee superfoods. All Built By Bee’s products are paraben and S.L.S. free, with no fillers. They are elegant and smell great, and they are effective – providing fast and visible results. All products are for both ladies and men and all products have been used in-house by staff and family members. They have been thoroughly tested for high efficacy, consistent results and excellent value. Treat your skin with beauty products offering effective blends of raw honey, propolis, bee pollen, beeswax, royal jelly and even bee venom. Why bee ingredients? We’re glad you asked! Raw honey is a humectant that draws moisture into your skin. Propolis is a world renowned healing antiseptic. Bee pollen stimulates cell renewal and regeneration. Beeswax is a combination of strength and beauty, retaining moisture and creating luster and shine. 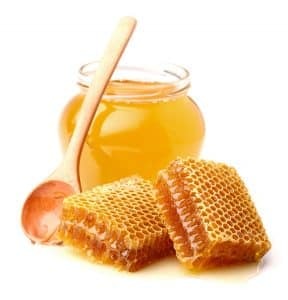 Royal jelly is abundant in proteins, amino acids and biotin. It’s great on skin and helps restore hair and brittle nails. Bee Venom is a significant anti-inflammatory and is commonly used for rheumatoid arthritis, nerve pain and tendonitis. All together, these gourmet raw honey offerings are healthy and will take great care of your skin. Today, we also carry a few exceptional candle and perfume products that are honey-scented, yet contain no bee ingredients. Buy with confidence as your satisfaction is guaranteed. More about Built By Bees: We’re committed to directed philanthropy, helping fund those who help others accomplish worthwhile goals and missions. We can offer you, our customer, excellent Fund Raiser campaigns as well as the Bee Friend program, helping you earn free products through your referrals. Thank you for visiting our marketplace. We look forward serving you with the finest gourmet raw honey and natural bee skin care products.